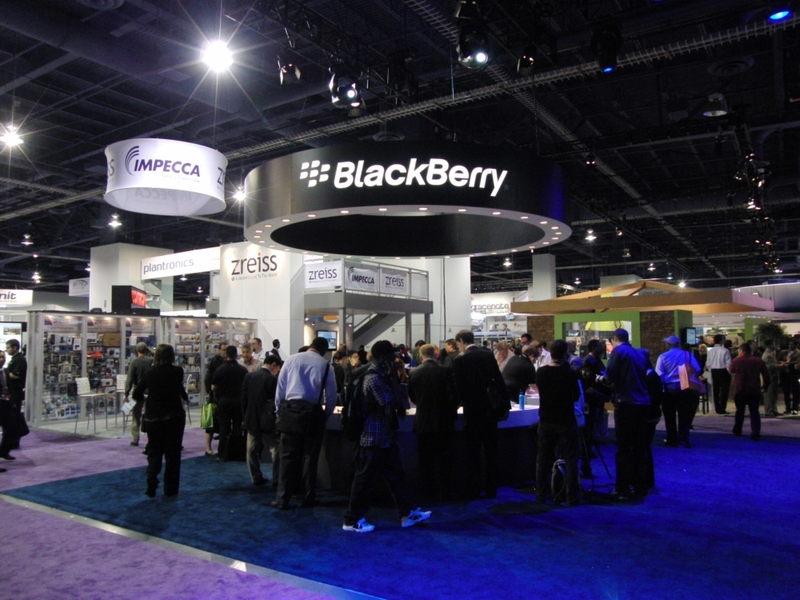 A year ago the BlackBerry PlayBook could have been a contender. The seven-inch tablet from Research in Motion could have carved out a nice market niche for itself if RIM could have delivered useful apps to go with the PlayBook’s sleek hardware and user-friendly operating system (OS) software in a timely fashion. Unfortunately it wasn’t until a few weeks ago that RIM finally delivered the PlayBook 2.0 OS, which included top-notch e-mail, calendar and contacts apps. Unfortunately it all comes very late in the game, maybe too late. Now we have a brand new, hot-selling iPad from Apple and a raft of new, powerful Android tablets. The PlayBook is now deeply discounted, and is not exactly on the top of most tablet buyers’ wish lists. Still there are some good things to say about the BlackBerry PlayBook and in a recent interview with radio host Mark Laiosa on WBAI-FM in New York, I go over some of the aspects of the new apps and the new PlayBook 2.0 operating system. BlackBerry PlayBook OS 2.0: RIM’s Last Shot? BlackBerry PlayBook OS 2.0 is finally here. At long last PlayBook owners have a reason to crow about their units–instead of quietly sliding them away each time someone nearby pulls out an iPad. But OS 2.0 is late–possibly too late to save the PlayBook. From the moment it debuted last April, the BlackBerry PlayBook has been a heartbreaking disappointment. While its hardware and sleek design have garnered kudos for the seven-inch tablet, it unfortunately debuted without essentials like e-mail or contact-management software or a calendar. It also had an app store with a selection which made the worst of the Android Market seem like the Works of William Shakespeare. At that time Research In Motion promised that a new PlayBook OS with e-mail, contact and calendar clients and an Android emulator that would allow the PlayBook to run popular Android apps would be ready by last June. Then it was October. We’ve been waiting ever since. Now it’s here. Today BlackBerry PlayBook OS 2.0, with all of the above trimmings, finally becomes available as a free over-the-air download. And it’s about darn time. If you were lucky enough to preview PlayBook OS 2.0 at the 2012 International CES in Las Vegas in January, you already know that this upgrade is a must download. The new OS is a head-and-shoulders improvement to the original quirky, limited-use operating system. The new PlayBook e-mail, contact and calendar clients shown at CES are things of beauty. They have easy-to-use interfaces and smooth integration with social media services. The versions shown at CES looked like finished products even then–not just prototypes. In terms of productivity, the new software offers a high level of cross-app integration, thus eliminating steps in doing basic tasks like setting up a meeting and inviting attendees. PlayBook OS 2.0 will also be more manageable than the previous version and will allow users to create their own folders. One area where the PlayBook has always outdone other tablets like the iPad is in its still camera and video capabilities. For example, the video below was shot at the 2011 New York International Auto Show with the PlayBook’s five-megapixel rear-facing camera. This video was shot at 720p resolution, which is not even the best the PlayBook can do: It also supports recording at 1080p and 480p. The BlackBerry PlayBook also has a three-megapixel front-facing camera, which, combined with its microphone and stereo speakers, would make it a terrific videoconferencing solution–if it could only run Skype in addition to the little-known tablet videoconferencing apps in BlackBerry App World. But that may change soon. As far as PlayBook-compatible Android apps are concerned, don’t expect to get access to the Android Market. Android apps need a little tweaking as well as approval from RIM before they will work on the PlayBook. These PlayBook-approved Android apps will show up in BlackBerry App World along with those designed specifically for the QNX-based PlayBook OS. Thus, installing an Android app on the PlayBook will be no different from the process currently used. Right now only a handful of the most popular mobile apps are available as native apps for the PlayBook. This short list includes Facebook, Groupon, Evernote, Kobo and YouTube. As of today, suggested pricing for the BlackBerry PlayBook is significantly reduced from the original levels, which ranged from $499 to $699. A PlayBook with 16GB of internal storage now retails for $199, the 32GB version is $249 and a 64GB unit is $299. 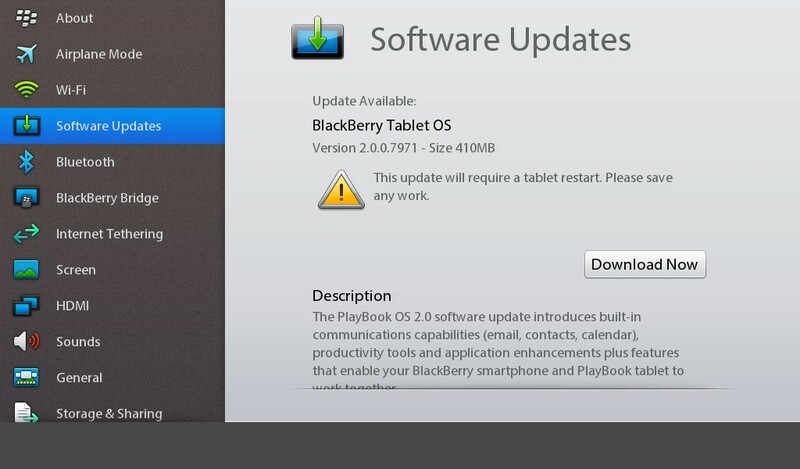 If you’ll be upgrading a PlayBook as soon as OS 2.0 is available, keep in mind that an OS update is a serious upgrade. Before you start, back up important data elsewhere, make sure your unit is charged, keep it plugged in to an AC adapter during the upgrade process and make sure you have a reliable data connection. Once you start, follow the instructions to the letter. An aborted OS upgrade could chew up your data and turn your PlayBook into an expensive paperweight. So how did your unit survive the OS 2.0 upgrade? Let’s hear about it.